Hello all! Sorry for the break in posts the last week, but I took a little break from blogging and videos to celebrate my birthday last weekend - I took a trip to St. Louis, MO for a shopping trip at IKEA! I've been so excited to go since I learned there was going to be one 3 hours away from me - believe me that is close compared to the one that was over 8! Anyway - I am back to continue to my Holiday Card Series for 2015 with this card. 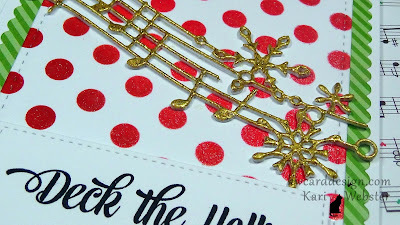 I used stencil from Heidi Swapp to create my inked background using Distress Inks, then I added shimmer to my polka dots with a little Mister Huey Shine mist. I die cut that panel using the stitched Femme Frames from Mama Elephant, and also die cut a piece of pattern paper from Lawn Fawn with the scalloped frame from the same die set. 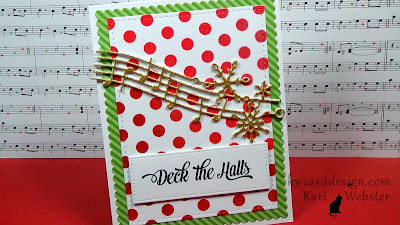 I also die cut three pieces of white card stock using the Jingle Snowflakes die from Simon Says Stamp. I wanted my top piece to be gold - so I heat embossed it with some WOW embossing powder. My sentiment comes from My Favorite Things - I love this font. 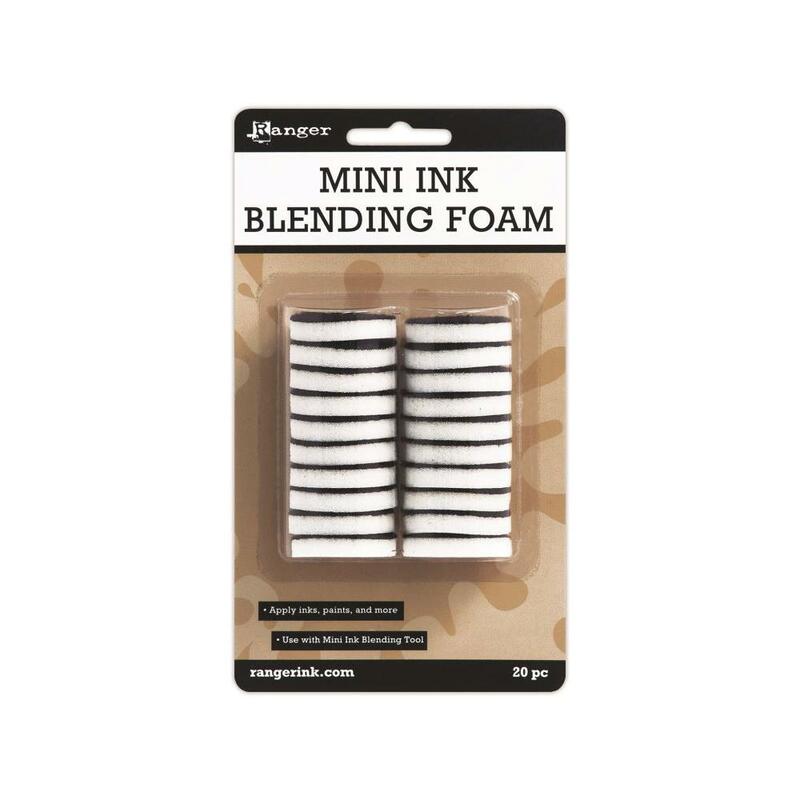 All the supplies used are listed below! Below is the video tutorial!! Enjoy! !